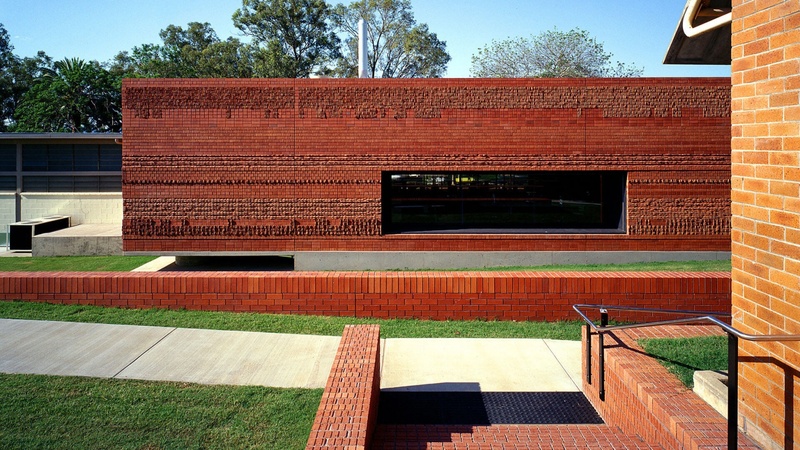 This project served as somewhat of a case study on the potential of the brick unit, and the connotations of brick veneer. We also sought to rejuvenate adjacent existing brick buildings by association. Masonry of various kinds has often been the foundational material in the public realm. 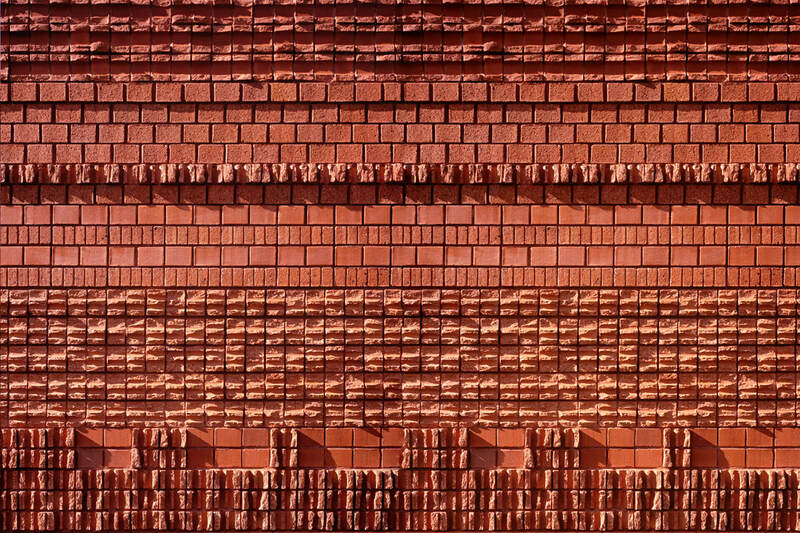 It has generationally fallen in and out of favour, and at times there has been a stigma associated with brickwork in some circles – bricks are to brick veneer, what brick veneer is to urban sprawl. 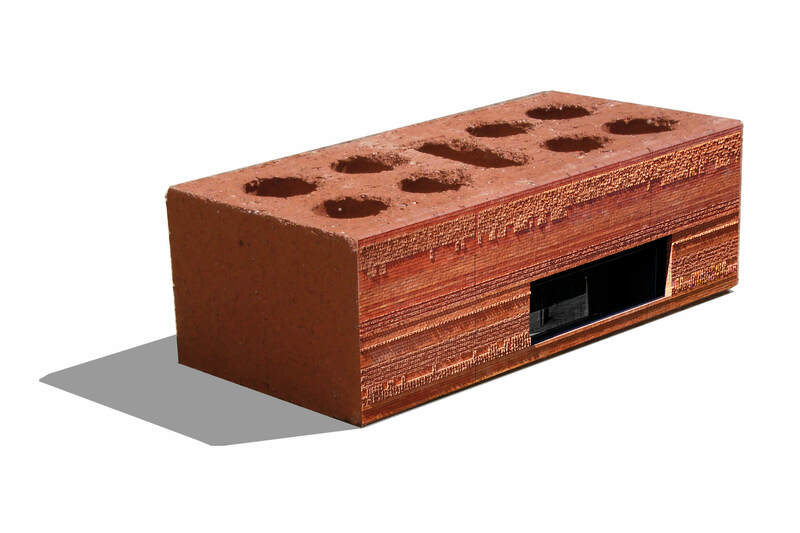 Brick veneer is a counter-intuitive construction system where the lightweight holds up the heavyweight. The stoic external appearance of many brick buildings belies the reality of a non-loadbearing 110 mm thick leaf pinned off a light-weight wall. The poetic potential of the term “leaf” and “veneer” is seldom explored. A leaf suggests thinness and delicacy. A veneer has connotations of a fine, celebrated outer layer. 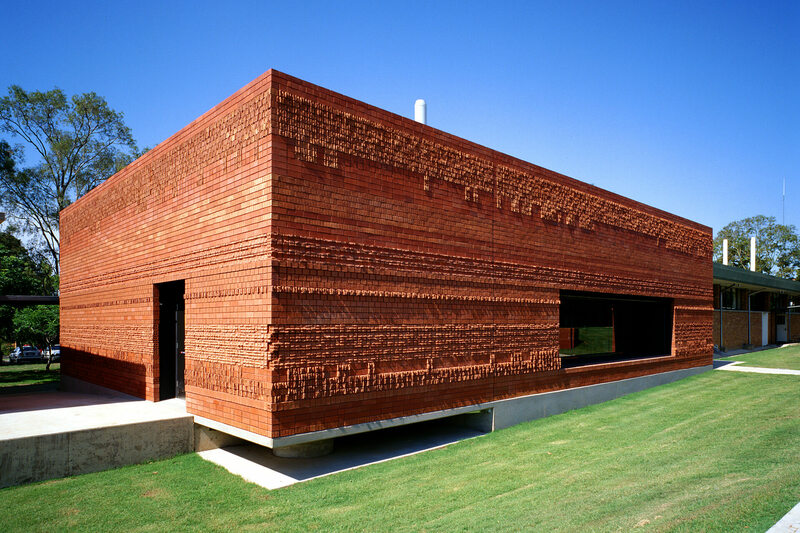 We eroded the veneer of the brick itself, to expose its seldom seen, rich clay innards. 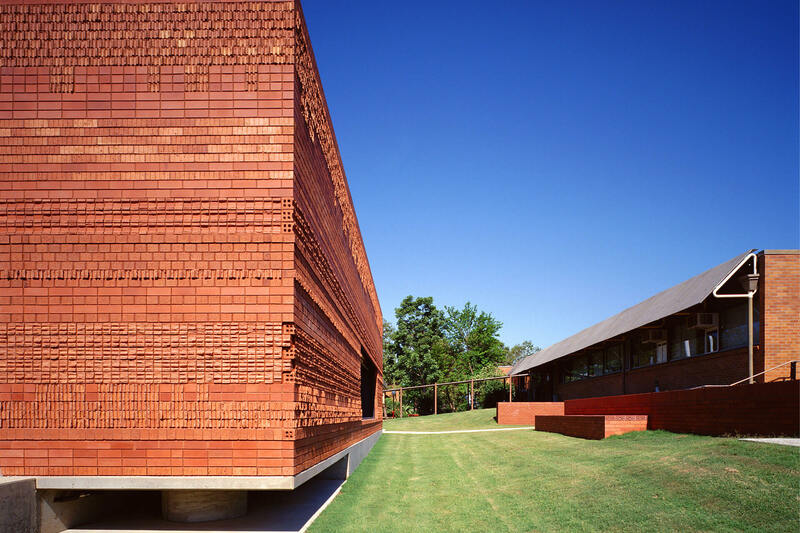 Two brick types with two cut types result in a range of textural qualities, the cuts made with a hammer and bolster. The inside of the building is a PC2 rated Micro Health Laboratory, abstracted from the outside world, so as to control the out flow of contaminants. We designed it with the utmost accuracy to comply will codes and standards. The clinical interior and ‘fuzzy’ exterior co-exist, joined by four deep dark reveals. Alan Wearing, Head of the School of Agriculture and Horticulture, University of Queensland.